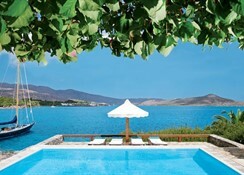 In an excellent location overlooking Mirabello Bay of Elounda, the most luxurious hotel in Greece situated on a peninsula overlooking the Aegean Sea. 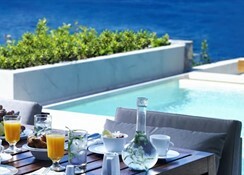 This All Suite Hotel offers sea views, luxurious suites and villas, most with private pools. 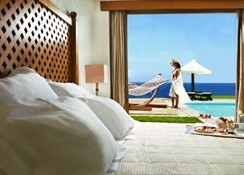 Many have luxurious bathrooms with steam bath, elegant and spacious lounges and all have stunning sea views. The exclusive Six Senses Spas has an authentic Turkish bath, where guests can enjoy treatments inspired by centuries of healthy tradition. The spa offers holistic treatments and therapies. During the summer, the restaurant Elies, served Mediterranean and Cretan meals à la carte, while lunch is served at the tavern Odysseus, right by the sea, with a variety of fresh seafood and Greek dishes. The Kirki bar, offers stunning sea views and is the ideal place for aperitifs and cocktails, accompanied by piano music in the evening, while the Beach Bar serves drinks and snacks throughout the day. Guests will also find a large outdoor swimming pool, children''s pool and care center for children, a sandy beach and a water sports center and tennis courts. This contemporary resort offers uniquely outstanding accommodation, designed and furnished to the highest standards, providing a truly luxurious environment. It offers access to rooms with one guest elevator and stairs, Currency exchange is available from the hospitality staff and free WifI in public areas. In addition it consists a lobby bar, boutiques, jewellery shop and news stand.All bedrooms are on the top floor with balconies, offering superb views, some are capped by domes that admit natural light. Living rooms have direct access to the pool. There are bathrooms on both levels, finished in the most exquisite marble, one very roomy with an air-bath and the other often sporting a steam-shower. Each room offers individually controlled air-conditioning/heating, control panel with "privacy/service please" buttons, LCD flat screen TV and satellite channels, music channel, DVD/CD player, desk, direct-dial telephone, high speed Internet connection free of charge, DATA port line, mini-Bar, dressing table with hairdryer, electronic safety deposit box, hypo-allergic pillows and feather pillows. 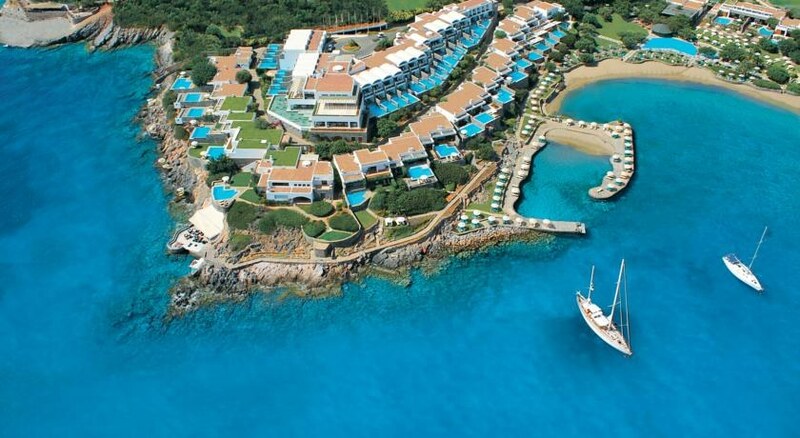 A great variety of entertainment activities and facilities are offered to the guests such as a large outdoor fresh water swimming pool with children's paddling pool by the resorts own sandy beach, table tennis, tennis courts (fee apply), SCUBA diving, windsurfing, sailing, water-skiing (fee apply) and private nine-hole par 3 golf course with extra charge.